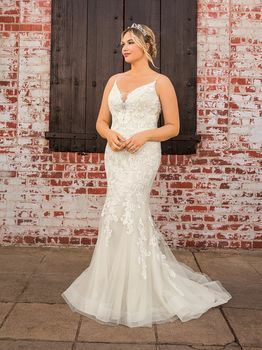 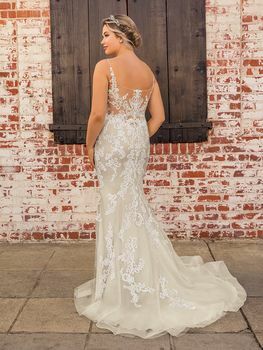 Seductive Scarlett is a fit and flare lace wedding dress bombshell from Beloved by Casablanca Bridal! 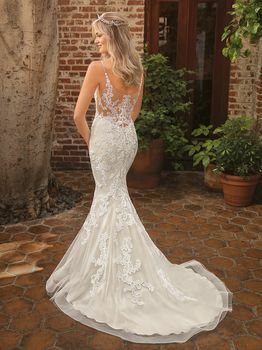 Lace appliques dance throughout this playfully sensual design, opening up into an awe-inspiring illusion back. Spaghetti straps and a plunging V-neckline make this gown the ideal choice for the bride seeking a classic, flirtatious look.